Back pain is unfortunately a very common condition, ask anyone you know, and most will tell you that they had experienced it at least once in their lives. Some may still have their chronic back pain. Back pain can vary from a slight ache to moderate to severe pain. Most people recover quickly from their back pain episodes, if it is quickly managed and with professionals. This article explains how physiotherapy helps with back pain. firstly, What is back pain? Back pain is categorized as a ‘musculoskeletal disorder’ (MSD) whereby conditions such as neck pain, hand pains and other repetitive strain injuries (RSI), now known collectively updated and known as Work Relevant Upper Limb Disorder (WRULD). Musculoskeletal disorders are a very big cause of people/workers not gong to work. Physiotherapy very extreme effective for treating musculoskeletal disorders (here at Phoenix Rehab, that's what we specialize in: management and treatment of musculoskeletal disorders such as back and neck pains etc). In one study, an average 80 percent (that is 8 out of 10) of people who had physiotherapy for their MSD were able to return to work and even have less hospitalization or light duty leave. Back pain has multiple and range of causes, from the simple "I pulled my back picking up a remote/coin" to the complex "I sit 10 hours a day with 2-4 screens" to "I've 3 young children"; it ranges and depends. However, it is rarely caused by serious health conditions. How can physiotherapy help with back pain? Studies and thousands of patients in our clinics have shown that physiotherapy works really well to help patients with back pain decrease pain and go back to life and work. Most of the time, if you get back pain and you see an experienced and skilled back and neck physio, you may speed up your recovery time and cut your pain time by quite a lot. 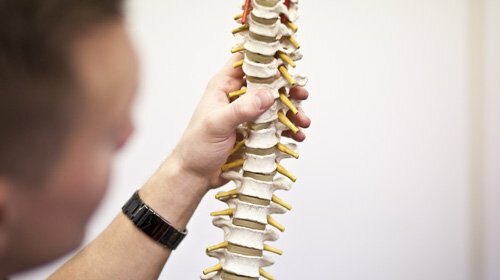 An experienced physio will assess you in depth to understand and find out if you have any serious health issues that may be linked to your back pain, then they will do a few mechanical and even neural tests to understand your back pain before looking at ways to help you specifically prevent recurring back pains. Physiotherapists have a range of modalities and treatments are have been research and clinically proven to be effective for back pain - these include manual therapy, acupuncture, dry needling, deep tissue management, soft tissue gliding etc. Your physio will also teach, guide and show you the exact exercises that you need to do as well as specific pain relieving techniques as well. What will happen when I see a physiotherapist for my back pain? Generally when you see a physio for your back pain, they will assess your pain, ascertain the causes of it, treat you and then give some advice. Everything you tell your physio will of course be entirely private and confidential. For your physio to understand your back aches and pains, they will need to be able to take a good look at your spine; need to be able to access and feel your spine's muscles/joints/bones/soft tissue; they may also need you to remove some of your clothes. That's why for your physio sessions, you're advised to dress loosely/comfortably and wear suitable underwear. If i have back pain, How can I help myself? We're sorry you have back aches and pains - it's painful and inconvenient. There are a few things that you can do to help yourself with your back pain. Firstly, try your best, as much as you can, to continue to participate in your usual works and activities, to keep your joints, muscles moving as normal as you can. Also, there are back specific exercises that can reduce your back pain and help to prevent your pains from recurring/returning - the RIGHT sort of back specific exercise, taught by a trained physiotherapist, can help a lot. Back pain studies show that back pain may return (or stay for long term) if it's unmanaged (means to ignore it) or poorly managed. Check the mattress on your bed to ensure it supports you properly (not too soft, not too hard, but must be JUST nice). Please don’t smoke – smoking impairs your circulation by destroying capillaries, which affects how quickly your body can recover. The slower your recovery rate, the slower you recovery from pains and diseases.